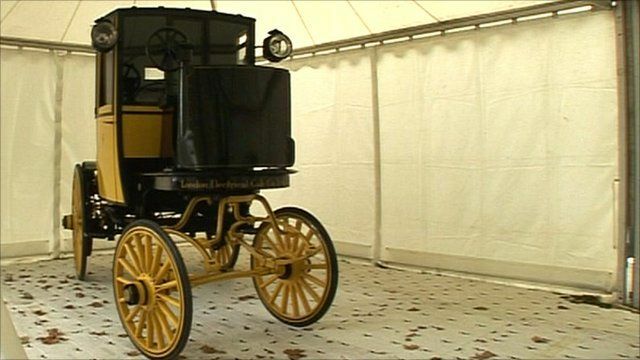 London's 19th century electric cabs Jump to media player Transport correspondent Richard Scott takes a look at one of the world's first electric cars - the Bersey electric cab - dating from 1897. World's first hydrogen production car Jump to media player The world's first hydrogen-powered production car has arrived in the UK for the first time. 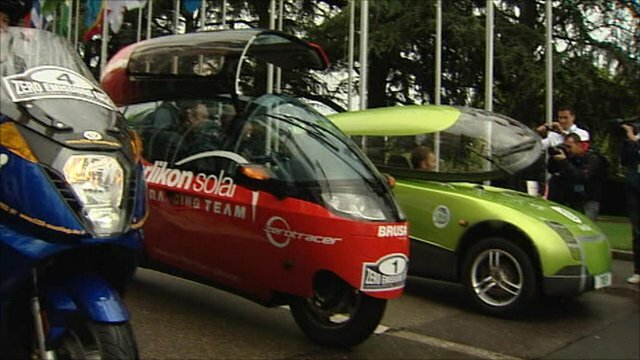 Global solar powered car rally begins Jump to media player Teams from three continents have set off from the Place des Nations in Geneva with their electric cars on the longest and greenest race of all time, called the Zero Race. The world's first production hydrogen fuel cell car has arrived in the UK for the first time. The Honda Clarity is not on sale yet, and may not be for many years. But electric-powered cars are far from new. 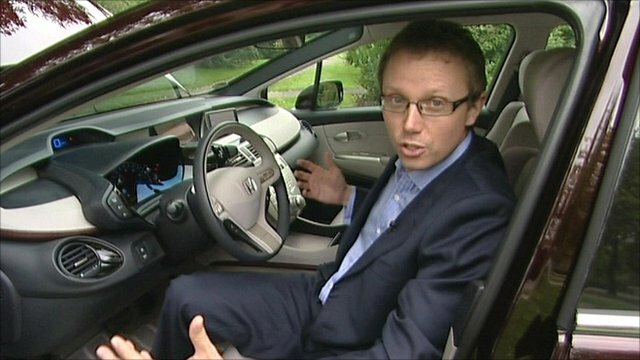 Transport correspondent Richard Scott has taken a look at the world's first electric cars. One of them, the Bersey electric cab, dates back to 1897.